Discover our service Custom Made and create the shirt of your dreams, uniquely designed and sewn after your preferences. Personalize your shirt to perfection in both design and fit. Adjust a few size options, choose among a large variety of collars and add details that will make your new Custom Made shirt completely unique. No matter if our standard sizing fits you perfectly or if you need to make any adjustments, we will make a shirt specially for you. Choose your preferred body fit and your standard size to start from. Choose your personal collar favourite among our large selection. You can also choose a cuff of your choice. Add a monogram of your choice and design, and make your shirt extra special. Choose between placing it on the cuff or the front of the shirt. Have the length of your shirt or sleeves extended or shortened. Compare to how your standard shirt fits and make your adjustments thereafter by adding or removing centimeters. "Every person is shaped and sized uniquely, it makes sense to have shirts made that way as well." Meet composer, photographer and Eton Custom Made ambassador Eric von Fricken. "I wanted to create some individuality." Meet photographer, travel blogger and Eton Custom Made ambassador Allan Edward Hinton. "An easy way to give my shirt a personal touch." Meet social influencer and Eton Custom Made ambassador Justus Frederic Hansen.  As we are able to help you out to measure and guide you to the perfect Eton Custom Made shirt in store, we are able to offer you a greater range of possibilities to customize. We offer you to change the width of the chest and waist, add contrasting details to collar, cuffs and buttons and of course all possibilities that you find here on our site.